Pay now for the next consecutive 6 months and you do not have to remember to register again for 6 months! 12 consecutive meetings for the price of 11! Plus the bonus of not having to register again for a year! While the demise of printed newspapers has been predicted since the dawn of the web, MaineToday Media CEO/Publisher will share her vision of why the future for newspapers, particularly in Maine, finally appears bright. She’ll describe the evolving business model and importance of delivering quality journalism across all platforms. Please join us in November for this unique view into today's newspaper industry. 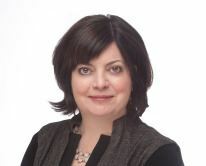 Lisa DeSisto is the Chief Executive Officer of MaineToday Media, Maine’s largest media company, which publishes the Portland Press Herald/Maine Sunday Telegram, Kennebec Journal, Morning Sentinel and The Coastal Journal. MaineToday Media also operates a distribution and printing facility in South Portland. Since joining MaineToday Media in 2012, Ms. DeSisto has led a turnaround strategy for a company that was on the brink of bankruptcy. Hired by then-owner Donald Sussman, Ms. DeSisto assembled a strong management team and executed a strategy built around delivering quality journalism on all platforms. The technology infrastructure of the newspapers/websites was upgraded to enable website redesigns and implementation of a digital paywall. Ms. DeSisto focused efforts on expanding the revenue base of the company with the creation of a robust events strategy, expansion of digital revenue products and a value-based circulation pricing initiative. In June 2015, the company was sold to Reade Brower, a mid-coast Maine entrepreneur, and Ms. DeSisto led a smooth transition to the new ownership. In December 2016, the company installed a new printing press at the printing facility in South Portland and will continue to print its newspapers and earn new revenue from commercial printing work. In August 2017, Ms. DeSisto became CEO of the Sun Media Group based in Lewiston Maine which publishes the Lewiston Sun Journal, the Forecaster/Current newspapers, seven weekly newspapers and a variety of specialty magazines. Before joining MTM in November 2012, worked in a variety of leadership positions at The Boston Globe. She served as Chief Advertising Officer for The Boston Globe and General Manager for Boston.com. She spent most of her career at The Boston Globe as the VP/General Manager of Boston.com directing the site’s development into the most visited local media website in New England. She joined Boston.com as marketing manager just two days after the site’s launch in 1995. Before joining the Globe, she held marketing positions at The Boston Phoenix, Boston Magazine and WRKO Radio. She is a 1985 graduate of the University of Massachusetts at Amherst. In 2006, she was named Online Innovator of the Year by the Newspaper Association of America. She is the President of the Maine Press Association and proudly serves on the board of the Boys and Girls Clubs of Southern Maine and the Harvard Pilgrim Healthcare Foundation. She mentors a group of high school sophomores through the Olympia Snowe Women’s Leadership Institute for Girls. Since moving to Maine in 2012 with her family, she has become a hobby farmer raising alpacas and goats. In this round table we will explore ways to keep workshop or even lecture participants actively engaged, sharing their relevant knowledge and experience, and engaging with the subject material. We’ll address the need for balance – so that participants feel they are doing more than simply share what they already know, and that the presenter has a clear vital role – introducing new ideas, methods, facts, and paradigms, and sharing wisdom and experience. Arthur Fink is best known for his powerful questions – questions that questions that bring insight, clarity, action, and vision. His long, varied career might be summarized in this one sentence: He teaches and demonstrates new modes of thought – whether it’s understanding database design techniques, applying principles of nonviolence to our everyday lives, helping organizations visualize their mission and goal, or working with businesses to better understand problems that have been hard to characterize and address. After earning an M.S. at Harvard, Arthur has done research and organized activity around the social implications of technology usage, developed systems to help manufacturers plan their operations, developed course materials regarding these planning techniques, advised a number of firms on usability and user interface design, mentored speakers for Pecha Kucha Portland and many international conferences, designed and developed computer systems used for hospital communications, insurance sales, pharmacy operations, church management, restaurant and mail order point of sale, and many other applications. The ACE regular meeting has networking, a buffet breakfast and a speaker. Guests are welcome. Registrations (and registration cancellations) are required by November 14th, 2017. If you want to be included on the registration list at the meeting then you need to register by the due date. If you are mailing a check, please register here so the system can track the registrants for us. Thanks! If you find you can't attend, please notify us by November 14th. After that date, we cannot refund or push forward. Members: the $22 fee only works if you pay in advance. At the door, it is $28. Cancellation - the meeting will be cancelled if Portland Schools are cancelled.